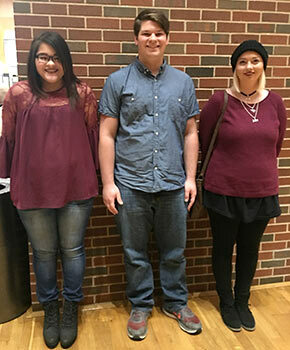 Marlys Cervantes and Ryan Doom, with Cowley College’s Creative Writing program, took students to the Oklahoma State University campus to hear Craig Johnson, author of the popular Netflix series Longmire. Johnson maintains approval of all scripts that come from his books, serving as Creative Consultant for the production of the series. 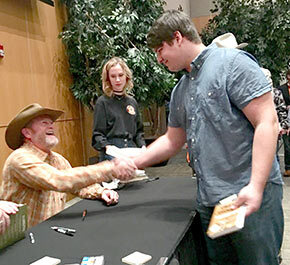 Johnson entertained the sell-out group with stories of how he creates, as well as how his popularity writing has helped several communities in Wyoming. He continues to live on and work his ranch, which is just outside of Ucross, WY, population 25. Students attending with Cervantes and Doom were Aryana Hess, John (JC) Pappan, and Aimee Morgan.